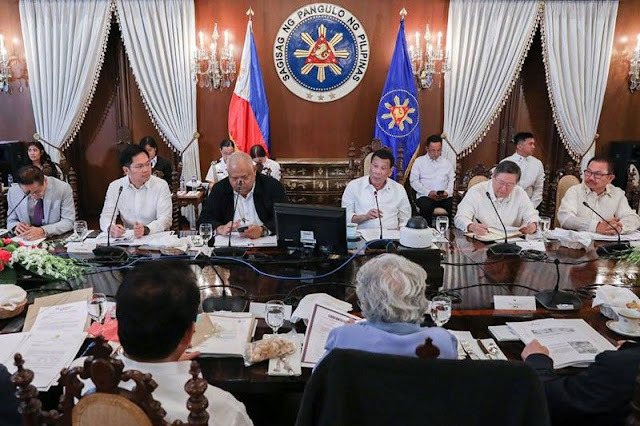 DAVAO CITY, Philippines — President Duterte admitted that he is displeased with the way government moves so slowly in delivering service to the Filipino people. “I must admit that one of the reasons why I am pissed off to no end is really the way government moves. Napakatagal ho talaga. At minsan napakatagal (It’s really slow. And sometimes it’s so slow) because they purposely do it to commit graft and sometimes it is really a circuitous thing, a very tedious process of getting the papers to the grid. There is always a monkey wrench,” the President said. “I am in a hurry because there is only about three years left for me to correct the things that I wanted to do,” Duterte added. The President likewise explained that he never really promised anything during the campaign and he never even mentioned infrastructure as he still did not know about government money then. “If you remember, I distinctly remember also that I never really promised you anything. I never mentioned the infrastructure because I was not sure where I would go kasi ‘yung pera (because of the money),” he said. Duterte likewise said that he remembers mentioning about easing the monstrous traffic on EDSA but that since he was not granted emergency powers, he opted not to do anything about it. “I promised you that I will try to control corruption in government. Sinabi ko that I will deal with the problem of drugs and criminality. Then I told you that I will improve our relations with other countries because we are really poor and we have to admit it,” Duterte added. The President explained that the country’s economy is not really that good. “Ang ekonomiya natin is really that much only. And economy is measured by how many people are employed, how many things that we have sold outside, how many houses that we had built for the citizens and all of this,” he said. The President also said he wanted to do much more for the Filipino people before he steps down in 2022.